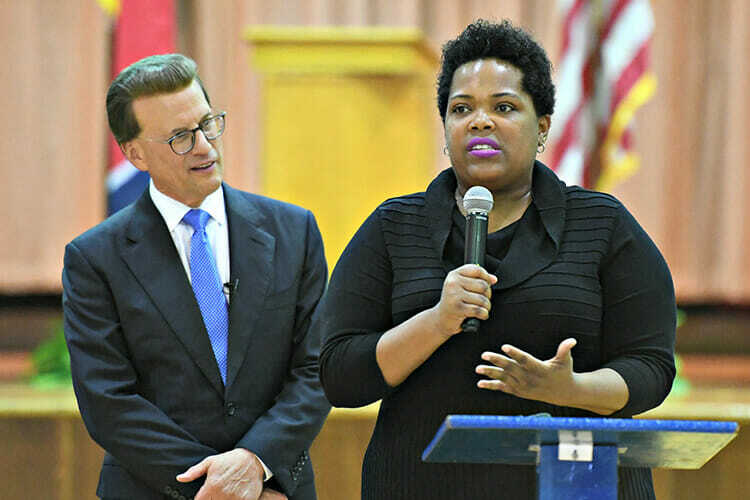 Alumni, former students help k..
Middle Tennessee State University alumna Erica Stephens (Class of ’02) recently received the prestigious Milken Educator Award, a national honor that comes with a $25,000 financial prize. 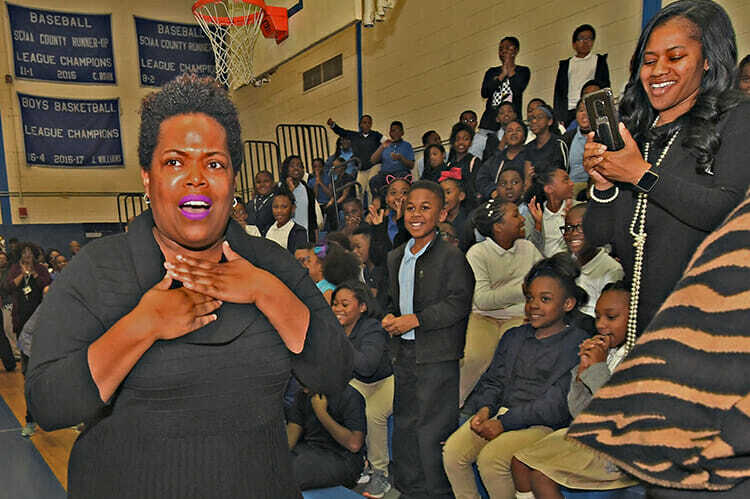 Stephens, who earned a bachelor’s degree in interdisciplinary studies from the MTSU College of Education in 2002, is a fourth-grade math teacher at John P. Freeman Optional School in Memphis, Tennessee, “where she encourages her students to explore real-world solutions to real-world problems through math,” according to a Milken Foundation release. Milken Family Foundation chairman and co-founder Lowell Milken traveled to Memphis to present the award, which took Stephens completely by surprise. Stephens was told that Tennessee Education Commissioner Candice McQueen would be visiting an all-school assembly to commend John P. Freeman Optional’s state Reward School status. While that was true, Stephens also was recognized for her personal achievements. Last year, her math classes exceeded projected growth scores on the Shelby County Schools’ formative assessment; 86 percent of her students tested at the proficient level or higher, the release states. 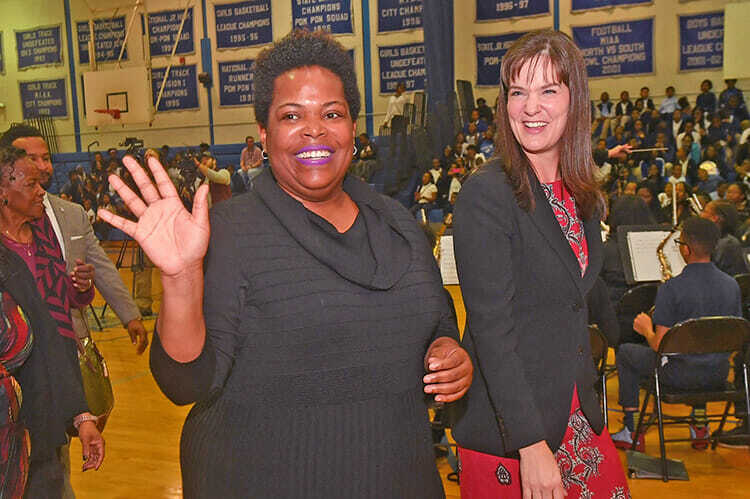 After thanking her colleagues and school leadership for their support, the practically speechless Stephens also thanked her students and told them to keep working hard academically. Stephens, who has also taught kindergarten and second grade, uses innovative approaches that encourage students to explore real-world solutions to real-world problems, the release states. She’s a member of the school’s leadership and data teams and uses her deep understanding of data analysis to understand every student’s needs and shape her instruction accordingly, tutoring those who need extra help after school. “Erica Stephens couldn’t be more right: Excellent teachers have the most important jobs in our country today. Most doctors, lawyers, engineers and other leaders can point to a teacher who was instrumental to their success,” said Milken, who has been honoring outstanding educators with public fanfare for more than three decades. Stephens believes that teachers should be equally respected as doctors, lawyers and engineers, the release states. She is among up to 40 honorees nationwide this year and the second and final Tennessee recipient to be recognized for the 2018-19 school year. “Our most valuable educators are those who help our students deeply understand content and then share their best practices to help other educators grow as well,” said McQueen. Research shows teacher quality is the No. 1 in-school factor determining how well a student performs. The Milken Educator Awards, named by Teacher magazine as the “Oscars of Teaching,” not only aims to reward great teachers but to celebrate, elevate and activate those innovators in the classroom who are guiding America’s next generation of leaders. Milken Educators are selected in early to mid-career for what they have achieved and for the promise of what they will accomplish. Along with the $25,000 prize and public recognition, Stephens’ honor includes membership in the National Milken Educator Network, a group of more than 2,700 top teachers, principals and specialists dedicated to strengthening education, according to the release. 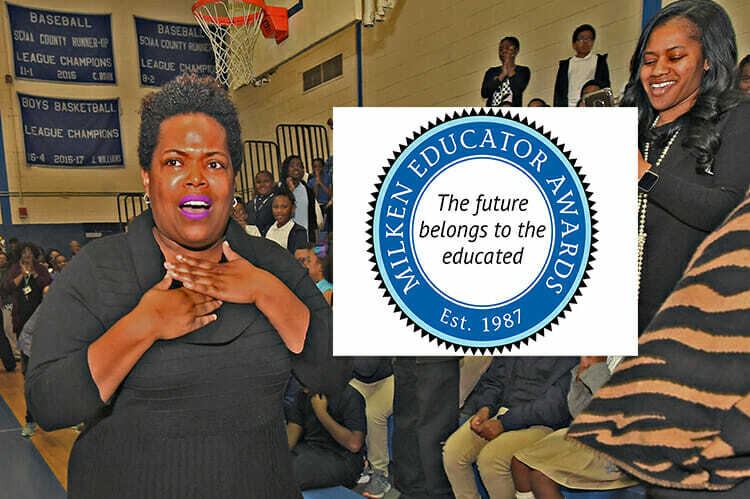 In addition to participation in the Milken Educator Network, 2018-19 recipients will attend a Milken Educator Forum in New Orleans March 21-24, 2019. Educators will have the opportunity to network with their new colleagues and hear from state and federal officials about maximizing their leadership roles to help educators be more effective. More than $138 million in funding, including $68 million in individual $25,000 prizes, has been devoted to the overall awards initiative, which includes professional learning opportunities throughout the recipients’ careers. Many have gone on to earn advanced degrees and prominent posts and be part of state and national education committees. The awards alternate yearly between elementary and secondary educators. For more information, visit www.milkeneducatorawards.org.